Are you planning your next or the first trip to Paris? 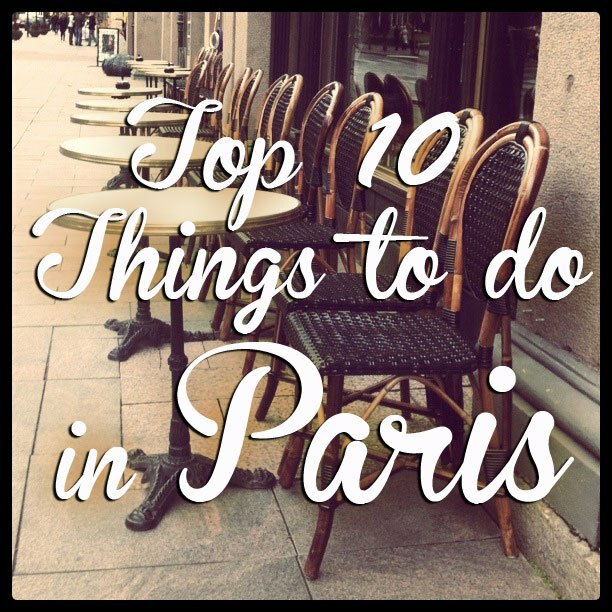 Here are 10 top picks for Paris, whether you are visiting the first time – or live here, like me. 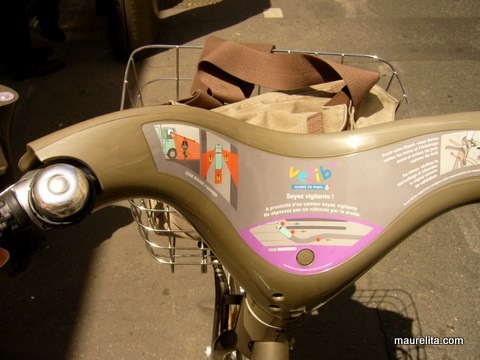 To live a true Parisian experience, nothing like renting a Vélib bike to discover the city! Use the bicycle paths wherever possible, and careful with those shared with buses. Most locals don’t stop at red lights or wear helmets, but you need not be THAT local. Instead, enjoy the ride crossing the river Seine, watching monuments from a different angle and be part of the flow. 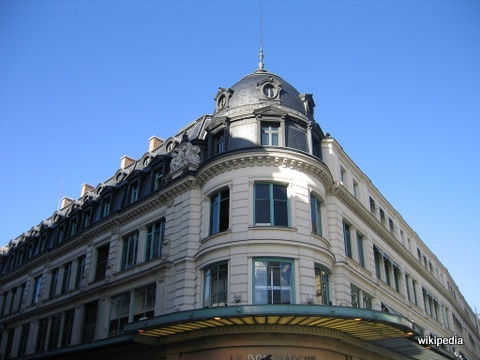 Le Bon Marché is probably the world’s first department store and the unique left bank chic inspired Emile Zola’s famous novel The Ladies’ Delight (Au Bonheur des Dames). Recently redecorated, the most luxurious of the Paris department stores is worth a glimpse also for its architecture. 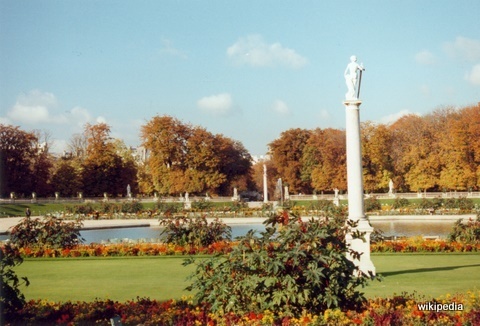 Le Jardin du Luxembourg with its gorgeous gardens offers an ideal place for walking in the autumn leaves, admiring statues and fountains. Grab a chair and watch the strollers, hiding behind a good book and your shades! One of the less known Paris hills La Butte aux Cailles (quail hill) is definitely worth a visit with its bars and restaurants. Picturesque small streets climbing up and down, graffiti art and student life take you away from the traditional sightseeing tracks. Rue des Cinq Diamants and rue de l’Espérence are my personal favourites. 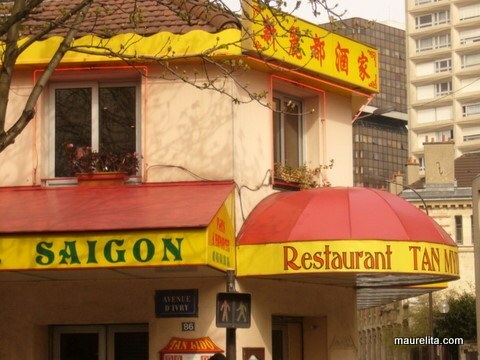 Not far from there, le Quartier chinois (Chinatown) with the exotic supermarkets Paris Store and Tang Frères, colourful streets, authentic Asian restaurants… Grab a Vietnamese sandwich with beef and coriander or sit down on a terrace to enjoy a Tiger beer with a bo-bun noodle salad with fried springrolls. The most adventurous ones will enter the supermarkets with a huge choice of most peculiar greens and spices but also kitchenware and wacky decoration items. 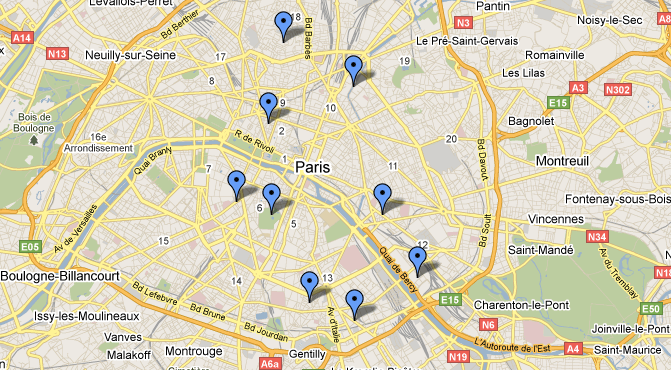 After all these left bank destinations, time to cross the river Seine. 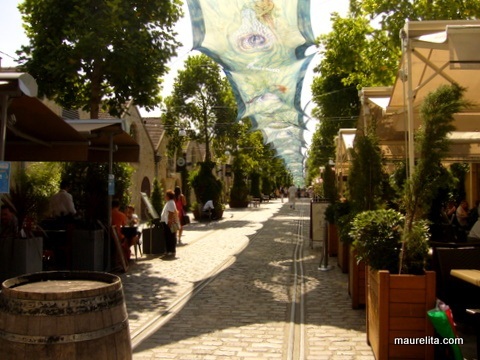 Bercy Village and its most well known alley Cour Saint Emilion have replaced the old wine warehouses of Bercy – thus named after the famous wine. This cosy shopping area specializes in restaurants with terraces. Viaduc des Arts, beneath an abandoned 19th-century railway viaduct. A number of arts and crafts workshops are great for windowshopping and on top of the viaduct you can take a “walk with the trees”, an elevated park of several kilometers with surprising plants and garden decorations. 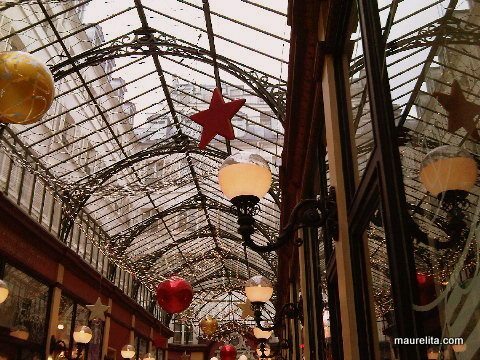 The covered arcades aka “passages” of Paris were the shopping malls of the 19th century. You can walk through a whole bunch of them, breathe the nostalgic atmosphere and sip a cup of tea away from the noisy traffic. 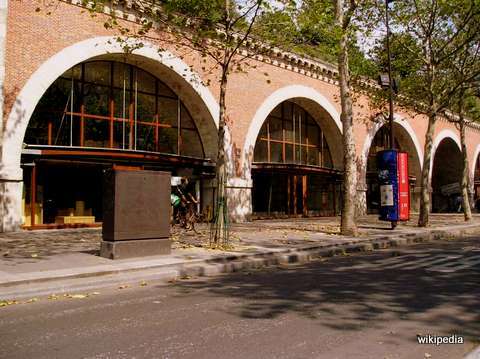 There exist maps of these arcades and you can choose between three different itineraries of “passages et galeries” . 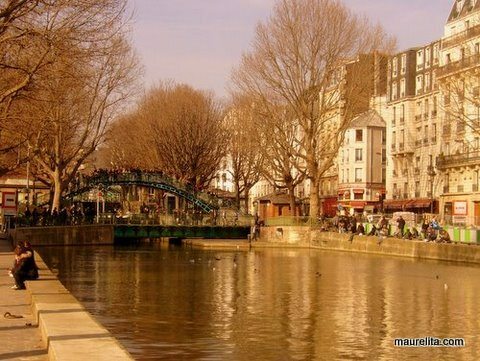 Instead of a touristic river boat on the Seine, you can choose to go on a cruise along the Canal Saint Martin or just walk up and down quai de Valmy and quai de Jemmapes. Trendy boutiques and cafés have taken over from the old carpet stores. On Sundays cars are not allowed alongside the canal and the quay’s invaded by pedestrians, bicycles and rollers, and if you are lucky there’s a flea market or street artists and live music. 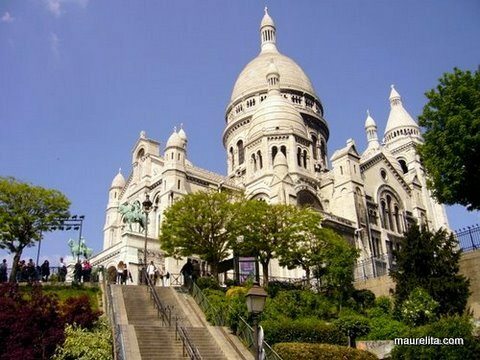 And to finish with a great view of the city, follow in the wake of Amelie to Montmartre. 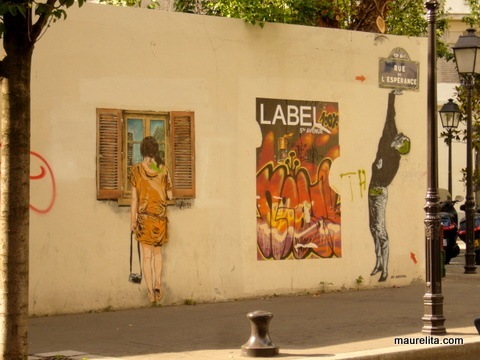 Avoid the touristic cafés at Place du Tertre and take a walk in the small streets behind. There’s a wineyard with a harvesting party in mid-October, and some of the most charming buildings hiding in the back streets of the hill off the avenue Junot. You can find all of these places on Google map – and because it doesn’t work for bicycles yet, I also routed it with mappy, which calculated the length as 18km, and taking about 1h 15min. Written by Maurelita. 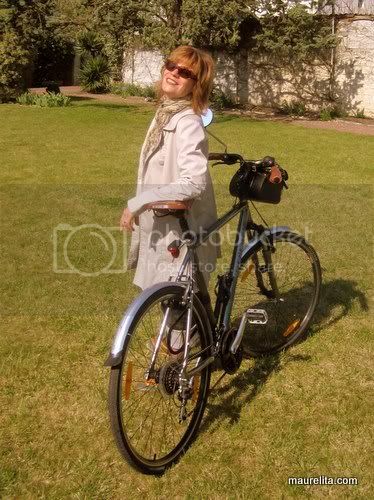 Maurelita is Skimbaco European Lifestyle Expert and a Bicycle Reporter in Paris, she is a Finnish redhead living in Paris with two kids and a French gentleman biker husband. Maurelita started blogging in Finnish in 2004 and soon got happed into writing bilingual blog posts also in French about education, social media, going out in Paris, sustainability and shopping… and now she is sharing her travels and life in Europe with Skimbaco readers. 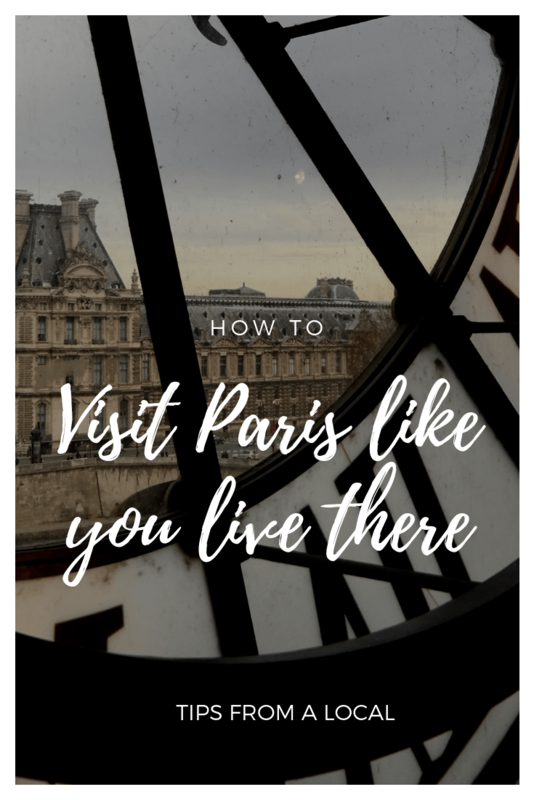 Really loved this article, I was expecting another overdone description of the grand tourist sites in Paris….coming from a once-Parisian I truly agree that this is the REAL way to see the city. Thank you for this! It brightened my day.